When the world was ruled by crazy cavemen driven by madness to eradicate the lovable dinosaurs that walked the Earth. Now it is up to you to wield the Dino-powers and save them! By strategically using your arsenal of rocks and defender troops you can defeat enemies and win battles. Collect a variety of powerful rock weapons to use in your campaign. Dive into a magic world of friendly dinosaurs, crazy cavemen and fantastical landscapes. 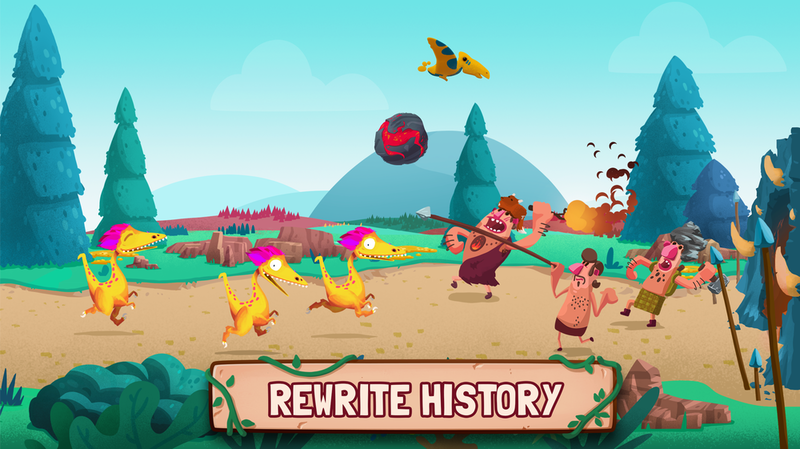 Unleash an army of T-Rex, Triceratops, Raptors, and badass dinosaurs and defend your golden egg from hungry, hungry cavemen. 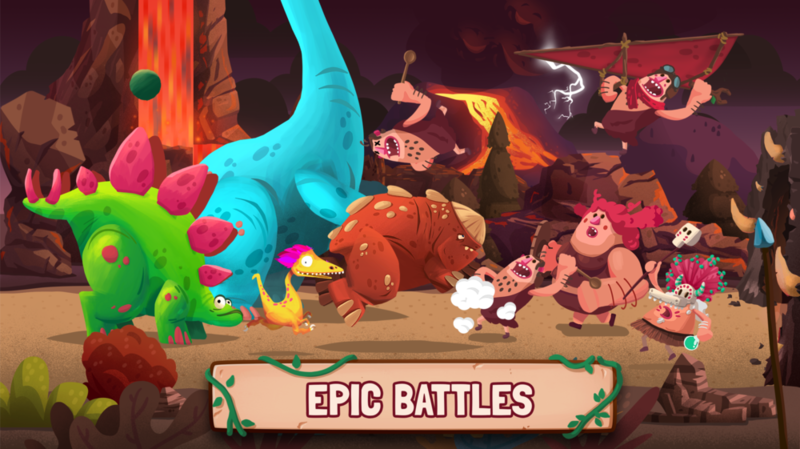 Help the dinosaurs avoid extinction in over 75 hand-drawn levels of primal tug-of-war defense. Cavemen have never looked this beautiful. Don't miss the amazing adventure when DINO BASH will launch on iPhone, iPad and Android in April 2016! Like us on Facebook so you'll always see the latest news! WANT TO WRITE ABOUT THE DINOS?